From a National Book Award-winning biographer, the first biography of legendary gangster Al Capone to be produced with the cooperation of his family. 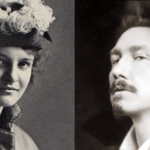 Bair discovers a rich trove of legends — one that reverberates with the romance of ethnic America four and five generations removed from the immigrants themselves. But that’s the problem: The living relatives are too young to shed much light on the gangster and his times ... Where Bair makes a major contribution is not so much in retelling the Capone legends but in reappraising them. She deftly sifts through the famous stories for half-truths and fictions ... Bair is a wise and often iconoclastic guide through Capone mythology. 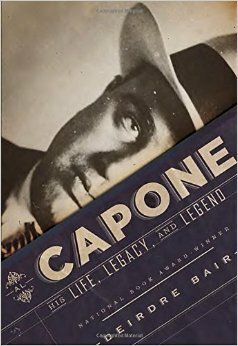 Using remembrances from Capone’s descendants, particularly three granddaughters, Bair paints a fuller and more intimate picture of the gangster ... The narrative of Capone’s rise and fall frequently comes to a halt because of the biographer’s tendency to present several versions of a Capone story, then decide which is probably true. That kind of detour is better left to the footnotes. That said, Capone provides tremendous insight into the man who, decades after his death, may be the best-known Chicagoan of all time. In the end, however, Bair's book does not live up to this promise. Her focus on Capone's family life, marginalizing details of his criminal endeavors, is unbalanced. She pays scant attention to Capone's legacy, the ongoing history of organized crime since he helped create the Chicago Outfit. Finally, a single concluding chapter covers the 'legend,' the presence of Capone in popular culture and memory, more a gesture than an actual examination ... Al Capone still awaits the biographer who can fully untangle, and balance, the complexities of his life. What did you think of Al Capone: His Life, Legacy, and Legend?